Tattoo trends come and go and the latest one doing the rounds on Instagram and Pinterest is the cross-stitch variety. Yes, people are having all sorts of designs permanently inked onto their bodies in the style of the crafty hobby reserved for the older generation. 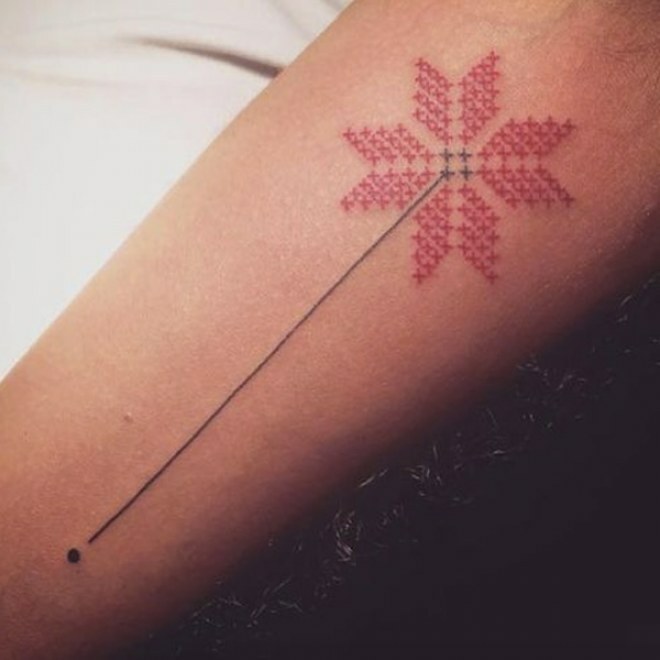 We've scoured Instagram and Pinterest to find the cutest cross-stitch tattoo designs to inspire a body modification your grandparents won't turn their noses up at.